After Tiger Woods’ first top-10 finish at a major event in seven years, 2018 Ryder Cup captain Jim Furyk is still contemplating whether the 14-time major champion will make the team. 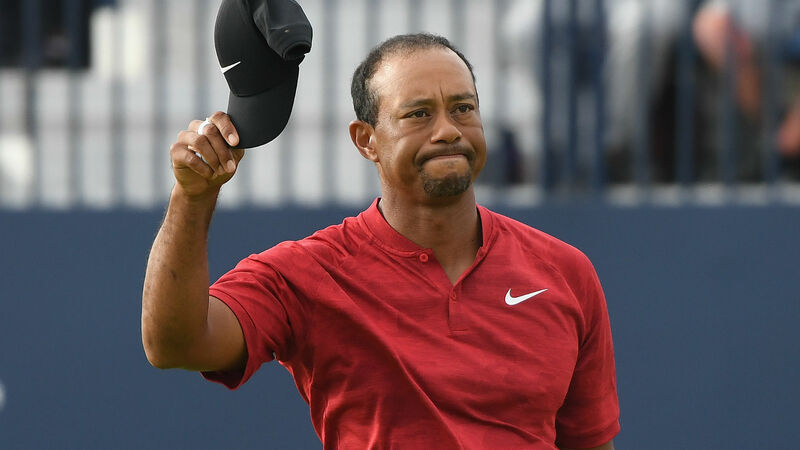 Woods, 42, carded a 5-under par finish that put him in a three-way tie for sixth place, which was the first time he broke into the top 10 since the 2011 Masters, where he finished third behind Rory McIlroy and Jason Day. There are only two tournaments left on the schedule to qualify for the eight automatic spots on the team ahead of the biennial competition Sept. 28-30 in Paris. Woods’ success at Carnoustie moved him from No. 31 to No. 20 in the Ryder Cup standings. Currently, Brooks Koepka, Dustin Johnson, Patrick Reed, Justin Thomas, Bubba Watson, Jordan Spieth, Rickie Fowler and Webb Simpson fall within the top eight. Woods has a chance to catch up to the rest of the Americans at the top of the standings in the WGC Bridgestone Invitational and the PGA Championship — the two events with the largest purses, as Ryder Cup points are based on earnings. The 14-time major champion has been appointed an assistant captain, just as he was at Hazeltine two years ago when the US regained the trophy for the first time since 2008.